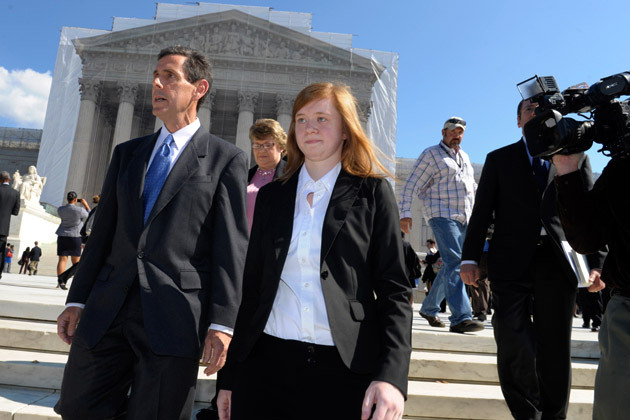 Abigail Fisher, the 25 year old woman who recently filed suit against the University of Texas because was denied did not act alone. Fisher’s suit alleges that she was denied admission because she was white. (Never mind that she didn’t have the grades or test scores to get in.) Fisher was carefully selected by Edward Blum. Blum has, over the years selected plaintiffs to bring lawsuits designed to weaken civil rights advances. Blum is not a lawyer but he is serious about rolling back the clock on civil rights legal advancements. In the 90’s, Blum himself bought suit after soundly losing an election in a voting district heavily populated by people of color. Blum sued on the basis of what he felt was racial gerrymandering. He won a 5-4 supreme court decision. The court decision resulted in the voting districts being redrawn. Blum asserts he is not racist and he is advocating for civil rights in bringing these types of issues to trial. We have got to wake up and be aware of the strategies being employed to dismantle civil rights advancements. Check out this very insightful article by Stephanie Mencimer In Mother Jones for more info!